Don't buy irons without trying them on the range. One of the biggest mistakes you can make is to buy expensive irons that are wrong for your game and swing. The right set will fit your game and swing as snugly as a bespoke suit. Choosing the best irons depends on a number of factors other than just your playing ability. The size, shape, flex, material and feel of the clubs are key elements to consider. Price also is a serious consideration. Determine which type of irons are right for your game. There are three types -- player's irons, game-improvement irons and super game-improvement irons. Player's irons are targeted to players with the highest ability level and produce the best response when struck correctly. Game-improvement irons are for mid-level golfers. These irons are designed to produce better results -- straighter and longer shots -- when you miss contacting the ball in center of the clubface. For higher handicap golfers, super game-improvement irons offer even more forgiveness on your off-center hits. Determine your price range. You can pay up to $1,500 or so for a set of irons (as of 2012). You also can buy similar models from the previous season, either pristine or slightly used, for $500 or less. It's akin to the difference between buying a new car and an almost identical model from last season. Choose the right shaft flex. Shaft flexes -- the amount of bend in the club -- range from "Ladies" and "Senior" (typically, the most flexible) to "Regular," "Stiff" and "Extra Stiff." Some club manufacturers offer several different flexes for women. In general, the faster your swing speed, the stiffer the shaft should be. If you swing slowly and try to hit a stiff shaft, it will feel like you're swinging a telephone pole, and you'll likely leave the shot right (for a right-handed golfer). If you swing fast and use a flexible shaft, you'll have trouble controlling the direction of your shots -- they could go left or right. Try out various irons. Feel can't be quantified, but it's a vital part of choosing the correct irons for your game. The look of the club as you address the ball and the feel of the club as you swing it should also please the senses. Try out irons with steel shafts and irons with graphite shafts. Graphite shafts are lighter and absorb vibration -- a good choice for someone with arthritis. Custom tailor your irons. 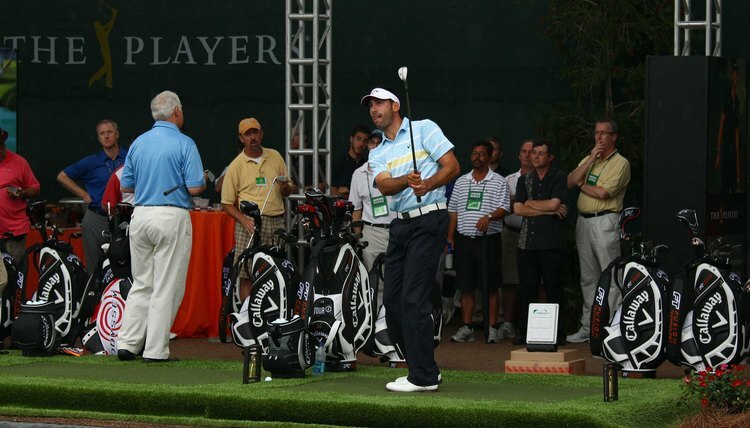 An experienced club fitters can match you and your clubs to a tee. As "Wall Street Journal" writer John Paul Newport put it, clubs that fit properly "will make your subsequent golf less frustrating because well-fit clubs promote a more efficient swing."